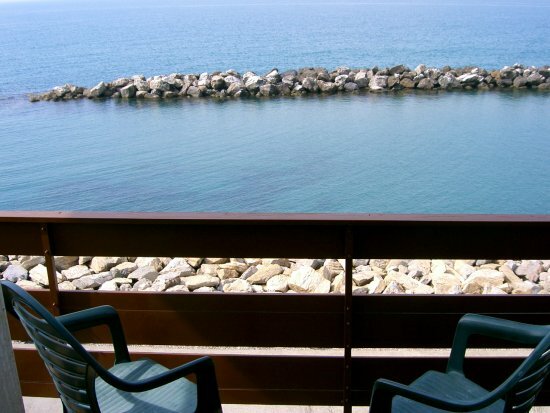 Here face to face with the sea, Hotel Manzi offers, with its solarium, the opportunity to enjoy a mild climate and a privileged spot for sunbathing, in front of the coast of Pisa. Our hotel conveniently accepts a broad offer, comprehensive and cost of credit cards, prepaid cards or debit cards and drawing to meet every need of our guests. Generally composed of tea or coffee, bread with jam, a croissant and a fruit juice, l 'Hotel Manzi allows you to start the day with local quality food. The availability of a WiFi service within our structures improves the quality of our service. The line is able to better manage all possible connected users. 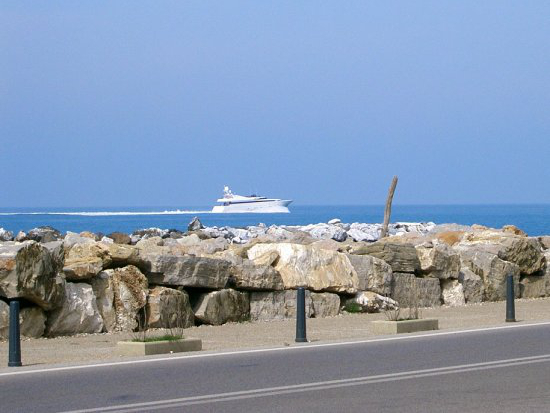 Along the Tyrrhenian coast, 11 km from Pisa, near the mouth of the Arno, lies the charming seaside resort of Marina di Pisa. 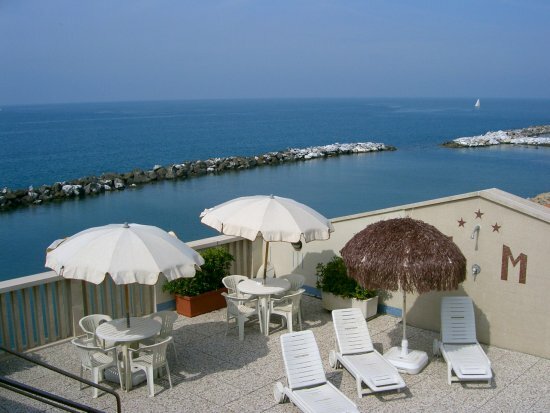 Here, face to face with the sea, Hotel Manzi offers, with its own Sun, the opportunity to enjoy a mild climate and a view beautiful sunsets or striking sea storms. 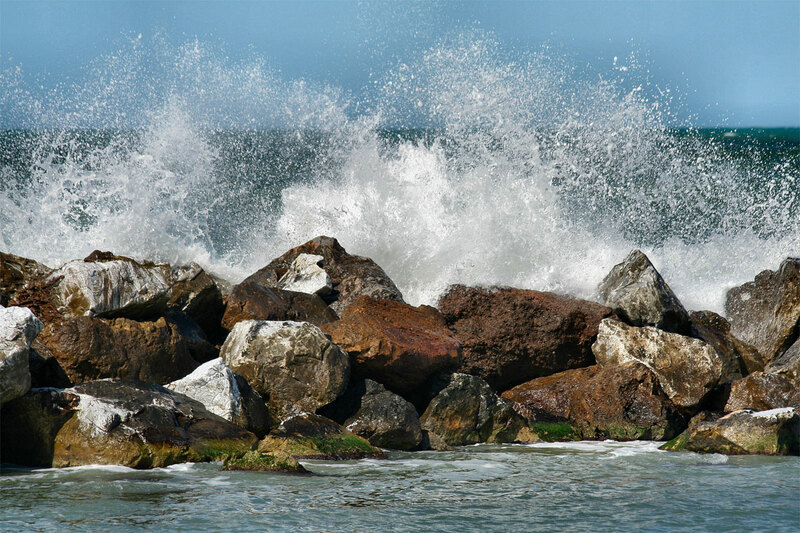 A relaxing walk along the sea or along the paths of an alluring pine forest, are perfect after a day of sunshine. The Hotel is open from April to the end of September and provides a breakfast buffet service , in the cozy dining room. 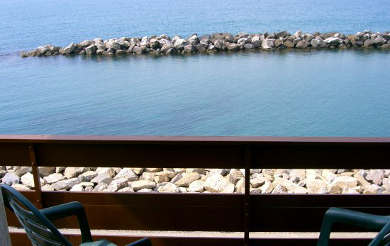 Comfortable rooms, single, double, triple and quandruple with view of the sea and where the light is at home, are equipped with facilities such as showers and toilets personal, minibar, telephone and satellite color TV. American bar is waiting for your usual drinks, with friendly service and a common room decorated with a fascinating vintage fresco. 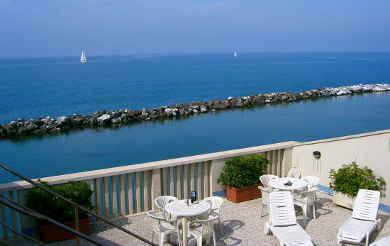 You can admire enchanting sunsets or striking sea storms from Hotel Manzi's solarium. 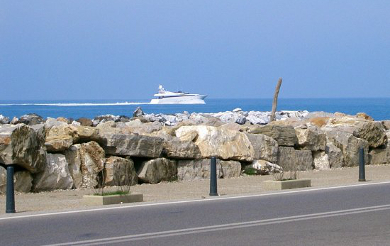 The entrance of our hotel overlooks the promenade, where you can spend nice moments of encounter and relaxation. A large solarium equipped with umbrellas, deck chairs, showers and telephone, accessible by elevator, is the best for a good exposure to the sun.